Lisbon is a nice city to wander and bump into new awesome people! A busy week in Lisbon! We were in our fifth day of traveling, it was the time to pack and head to the next destination. It was time to go to Portugal, we had two important things to do there. First: open an international bank account. Second: visit Dariia, a friend we met in our honeymoon (Kazantip Festival 2013 – Ukraine). And, of course, get to know a little bit of the country. The agenda was: 4 days in Lisbon + 1 day in Sintra + 2 days in Porto. In Lisbon we rent a room through Airbnb, and as lucky as we are, we got more than a simple accommodation. Good bed, clean and big apartment, two friends and a cat! Hugo, Ariana & Xá (the cat) were awesome. They gave us all the tips about the city, took us to an amazing beach, and she cooked a delicious soup from Alentejo for us. What else could we ask for?? Thanks guys, no words to express how we loved to meet you! All the best in your new challenge: to have a baby girl! Ariana and Hugo. He NEVER looks to the camera! But before the fun part started we had to focus on business. So our first day there was all about bank meeting and paperwork. Good news: the bank accepted our documents. Bad news: it would take 10 days to receive the bank card and passwords. Thanks to the Portuguese bureaucracy our 1-week plan turned into 15 awesome days! We had plenty of time do discovery the city, and we were pretty busy. 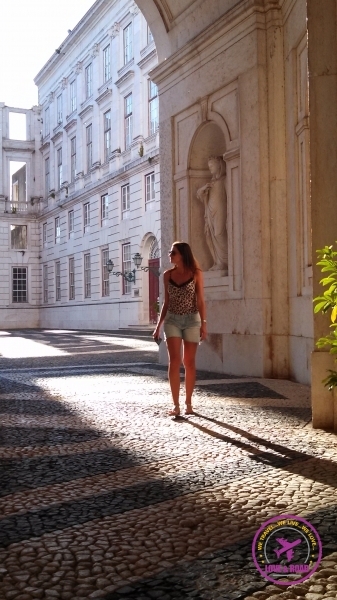 Lisbon has a lot to see and do. Do you want a travel guide? In our next post you will have it! A beautiful photo report about the Portuguese capital. For now let’s talk about more interesting stuff. One day of sightseeing and it was time to meet Dariia. Uhullllll!!!! We had a great time in Ukraine, and I was anxious to see her again. She is an interesting mix: a beautiful Ukranian model that speaks fluent Portuguese (with Portugal accent). Thursday night we met outside Rossio metro station, of course we were a little bit late (we are trying hard to become a punctual couple, and now we are better than 3 months ago). With Dariia came new friends. First was Carlos, a great “gajo”. We all went for a nice dinner at Casanova Pizzeria (great food, I will give you all the info on an article dedicated to Portuguese food!) After dinner it was time to go for some “copos”, a Portuguese way to call drinks. Bairro Alto is the best place for drinks, tascas and party. The streets are packed with people from all ages, locals and tourists. 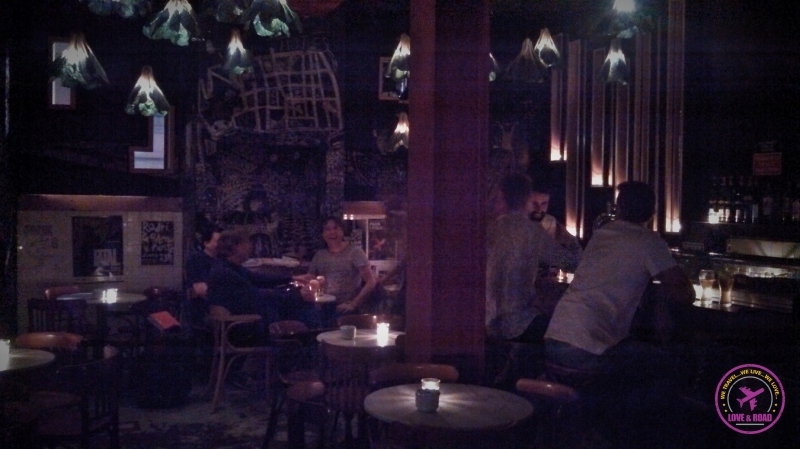 We stopped at Mahjong Bar, super cool and funky place. The best feature of the bar are the cabbage chandeliers! Mahjong and the cabage chandeliers. On our way to Sintra. On Friday morning we went to Sintra (a historical city near Lisbon), we were a bit tired from the night before but we manage to rest on the train till there. Sintra is amazing and deserves an entire post about it. The problem was that by the end of the day we were dead, and still had to take a shower, get dressed and go party. We are far from our 20´s, but we handled it. At 10pm we were at Mahjong. Dariia introduced us to more new friends (this girl should be a PR) and we stayed there till the bar closed, around 2:30am. Than it was time to dance! Since our farewell party that we didn’t have a proper clubbing. The venue was Ministerium and Solomun the name of the night. Happy time!!! At 5am my old man gave up and asked to go home. I was super tired too. We left Dariia, Carlos and Roxana in the club and went back home. 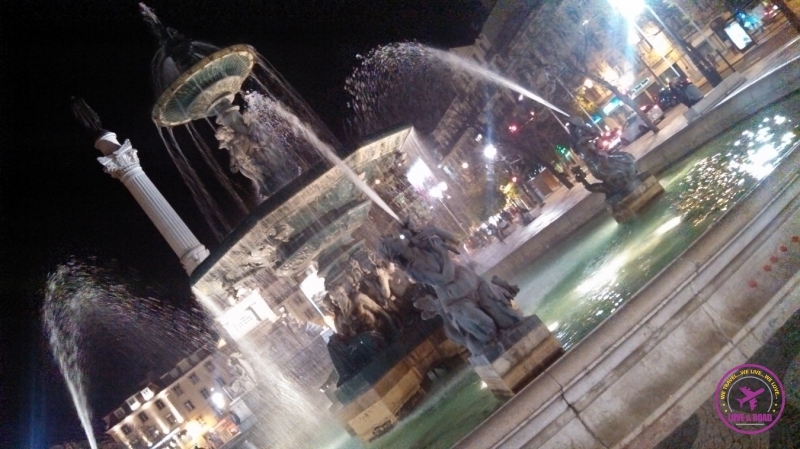 Walk through Lisbon city center at 5:30am was pleasant and safe.The whole historic streets just for us. At some point we decided to take a taxi, it would be too much walk till the apartment. Rob drank a bit. No way to take a decent picture! It was Saturday morning and our two main reasons to visit Portugal were already accomplished! We nailed it! We still had 3 days to enjoy the city! After a good morning of sleep we went to Belém, a beautiful neighborhood. Sunny afternoon along the Tagus river with custard cakes and a nice walk. Nothing too extreme, I won’t lie, I had a hangover! Sunday was a beach day! With Hugo & Ariana we went to Portinho de Arrábida and Sesimbra . The sun was shining, we were having fun and the water was bloody freezing! Rob tried to swim, but as soon as the water touched the “special parts” he gave up!! Portinho da Arrábida. Beautiful and cold sea! Since our plans changed because of the bank, we stayed in Lisbon till Tuesday morning. Then six days in Porto, a cute town in north of Portugal. After that, 3 more days in the capital again. Lisbon was all about the people we met. So when we came back we stayed again with Hugo & Ariana. Their other guest, a Russian guy, didn’t get the visa to travel to Europe, with an empty room they accepted us for a few more days! We are damn lucky!! Those last days were a bit more serious, sightseeing and collecting information to our blog. Before leaving Portugal we met Roxana again. Few drinks at Mahjong, just to finish our Lisbon stay in great style. 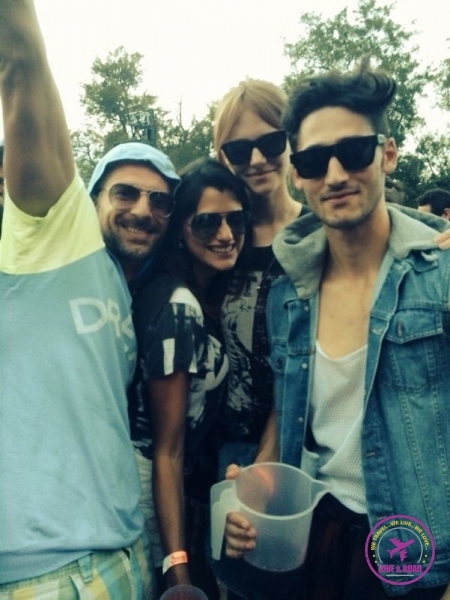 About Dariia and Carlos, we didn´t manage to see them to say goodbye. Turn out it wasn’t necessary, one month later we catch up again, but in Barcelona (Spain). Actually you will hear a lot about this couple. Barcelona » Milan » Croatia (future) » we keep bumping into each other all around Europe. And always having great fun! With Dariia & Carlos in Barcelona. Me and my nice “gajo” sending you a HUGE kiss from Lisbon! Can’t wait to see this amazing couple again!!! I’m sure we’ll have tons of fun together! And be prepared because I am gonna talk about you two a lot here in the blog. Awww, you two make Portugal look like so much fun! :)) We’d love to meet up with you too. Any chance you’ll come to Malta in November? Lisbon is great fun, especially if meet nice people. The night life and food are amazing. You two should put this city on your plans. We would love to meet you guys and Malta definitely is in our bucket list. But we already have flights booked for Bangkok on November 6th. We´ll be in SE Asia till april next year. If you want you can join us there!!! Sounds like a busy but fun-filled adventure in Portugal! The more photos and stories I read about Portugal, the more I want to visit ASAP. It looks like an undiscovered gem of Europe! Portugal is getting famous now, specially because it is one of the cheapest country in Europe. So if you want to visit and get the real Portuguese feeling go there fast. ASAP!!! Can’t pick a favourite between Lisbon and Porto myself. Both fabulous. Incidentally, did you go the 28 tram while you were in Lisbon. Wonderful experience even if it is often too crowded by tourists to get on it.